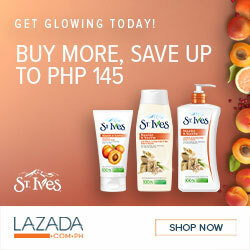 Shifting to Dubai? Or just beginning on a grand tour of Dubai? Whichever it is, you’re one mighty lucky person. Dubai is already chock-full of magnificent attractions, with more springing up on a regular basis. It’s hard to choose which ones to see and which ones to ignore, if you’re time-bound. However, we’ve put together an itinerary that’ll help you enjoy the 10 best attractions that Dubai has to offer. Go Dubai! 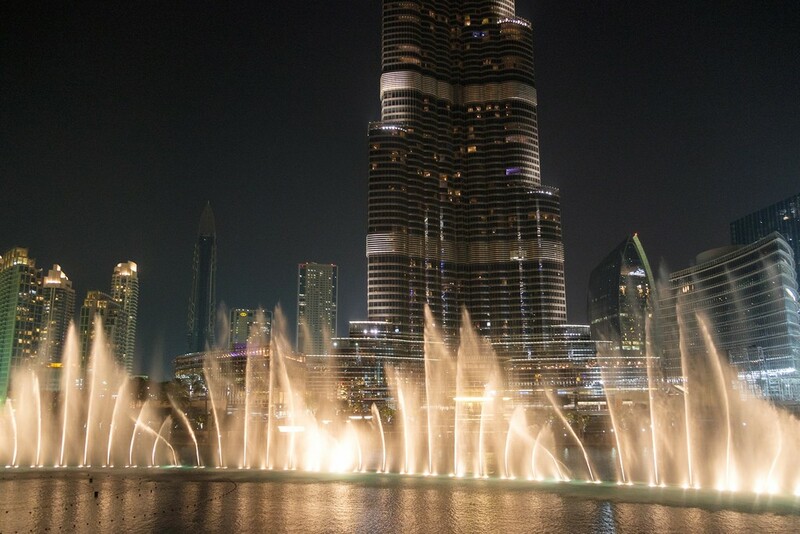 Right at the feet of the Burj Khalifa are the world’s largest and most amazing dancing fountains, set on the 30-acre Burj Lake. The water jets shoot up to a height of 500 feet, the same height as that of a 50-storey building. The fountain system is 900 feet long with five circles of jets in varying sizes and two central arcs. 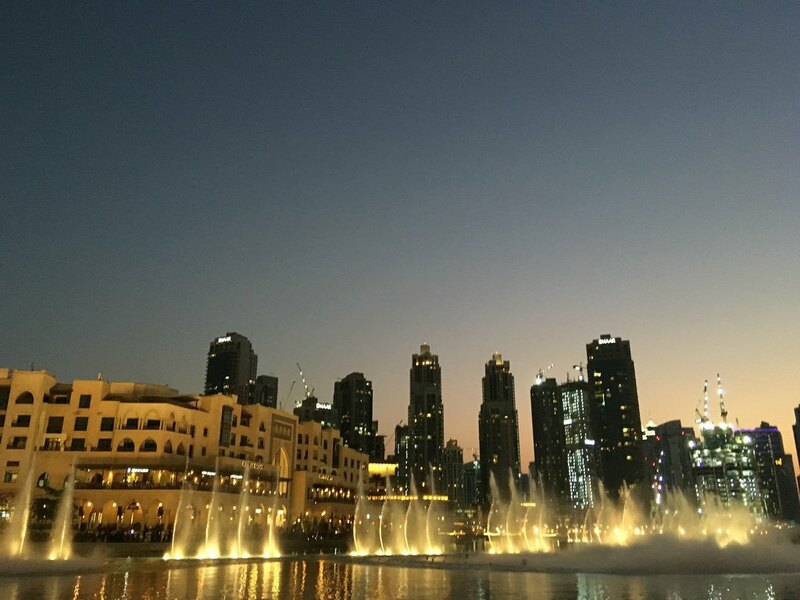 The Dubai Fountain showcases daily performances to various songs such as the Sama Dubai; the Arab number Shik Shak Shok and Andrea Bocelli’s Time to Say Goodbye. The Dubai Dancing Fountain uses more than 6,600 WET super lights and 25 colour projectors to create the kind of visual spectacle that seals into your retinas for a lifetime. The Dubai Creek is a natural seawater inlet that cuts through the city’s centre, dividing the city into two distinct parts – old Dubai and new Dubai. The old historic Dubai is where you can find the Al Fahidi historic neighbourhood, or Bastikaya as it was once known. 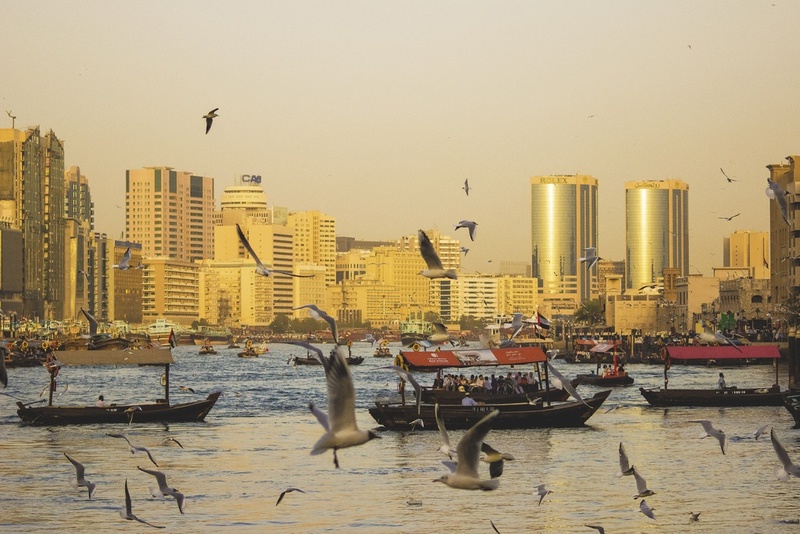 Before you cross the creek, be sure to explore the spice souqs of Bur Dubai. You can smell the spices from a distance. Hire a small water taxi, called the abra, to cross the creek from the Bur Dubai to Deira. You can shop for Pashmina shawls, carpets and Arabian clothing at Deira. Check out the old trading port and the dhows that were once used for trading and smuggling. Cruise up the creek to the Al Maktoum Bridge. Stroll around the wharf to get a unique perspective on Dubai’s rich heritage. The Hotel Atlantis sits on an arm of the manmade Palm Jumeirah Island. It’s more than just a hotel. It’s a land of pleasure, luxury and unbelievably rich imagination. Explore the delightful hotel’s luxurious set up. Enjoy exploring unique marine habitats in the Lost Chambers section. Take your kids to enjoy some cool adventures in the exhilarating water park- Aquaventure. Soak up the sun on the pristine white beaches and enjoy some world class cuisine in one of the 18 restaurants. 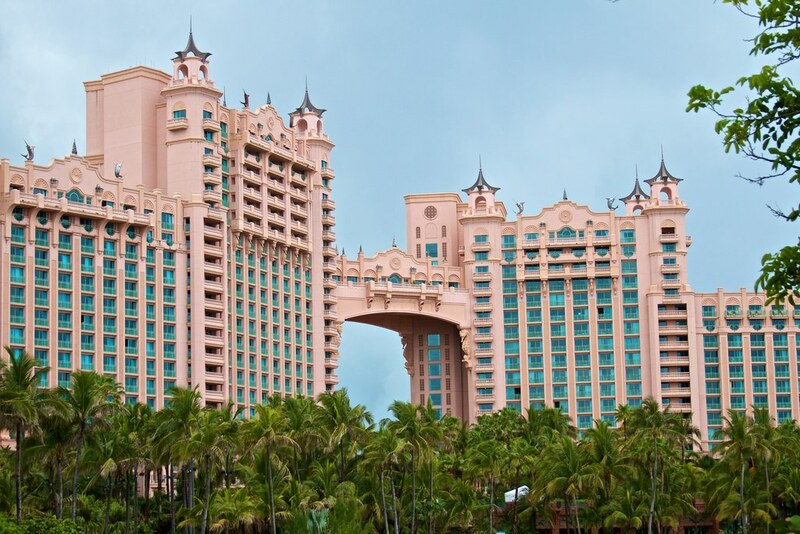 Do some shopping or at least do window shopping at the many cosmopolitan boutiques at the Atlantis. 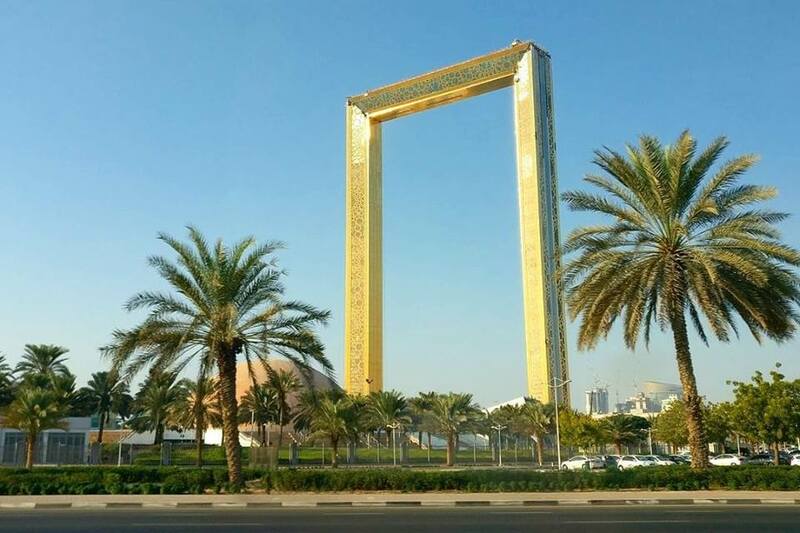 Dubai Frame is the latest among a string of recent landmarks launched by the city. The Dubai Frame is a huge picture frame with two vertical columns of 152 meters in height, bridged by a transparent-bottomed walkway. Each level of the columns takes you through the journey of Dubai’s evolution, from being a fishing and pearl diving village to the multi-mega-cosmopolitan giant that it is today. When you get to the top, walk the sky bridge and exclaim over the incredible views of the Dubai Creek and old Dubai, juxtaposed with new Dubai and its landmarks. The world’s tallest tower and the most incredible triumph of engineering, the Burj Khalifa is currently the world’s tallest structure. Sign up for the coveted "At The Top" Dubai Burj Khalifa Tour experience – the chance to view Dubai from the highest viewing platform in the world from the building’s 124th and 125th floors. From the ground floor, you’ll be entertained by a multi-media presentation of Dubai’s wonderful and slightly unbelievable history on the elevator. Then when you get to the 124th floor, you can get some coffee and snacks at the café there and enjoy the world’s most scintillating views. There are telescopes placed at every few feet to facilitate better views. 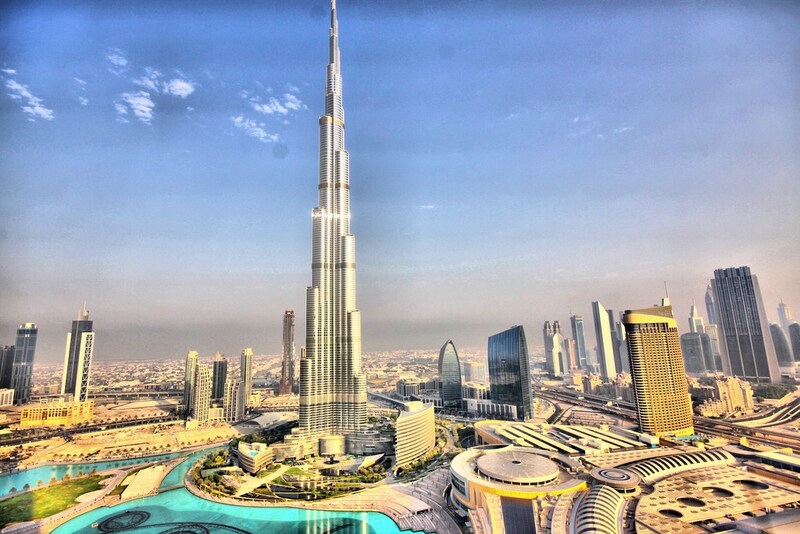 It is this attention to need that makes the Burj Khalifa one of the top tourist attractions in Dubai. 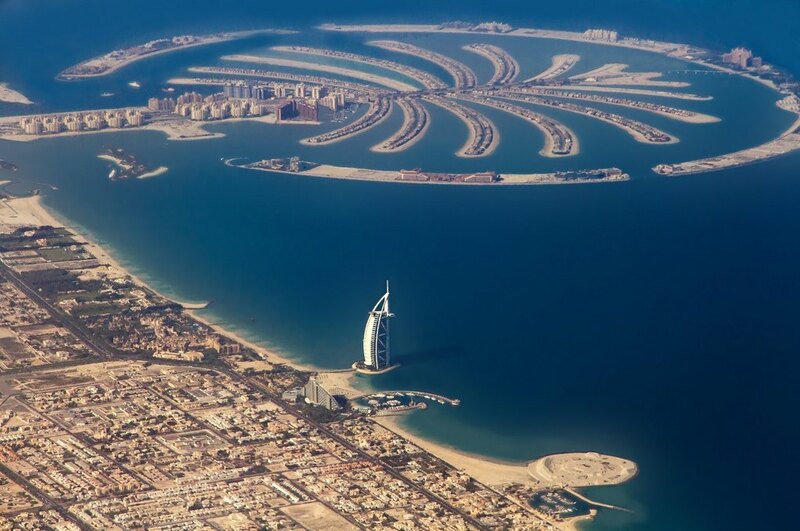 The exciting Palm Jumeirah islands with their iconic shape have made headlines for many years now. The shape of the island is so iconic, it can be seen from outer space. On the Palm Islands, you’ll find famous hotels, fabulous tourist attractions and shopping malls that offer the last word in luxury. It’s an inspiring holiday destination that provides the ultimate in luxury. Enjoy the simply magnificent views from the islands of the surrounding waters and the Dubai skyline. Enjoy eating at the fine selection of restaurants and relax at the spas, pools and gardens. You can also enjoy kayaking, water sports of various kinds, aquariums, theme parks and miles of pristine beaches at the Palm Islands. Dubai Mall is the world’s largest shopping mall. This mall organizes extravaganzas such as the Dubai shopping festival and Dubai Summer Surprises festival. If you’re a shopaholic and a lover of luxury, you need to head straight to this mall. Dubai Mall has a number of entertainment options such as a 22 screen cinema multiplex, over a 1000 eateries in the food court, 1200 plus retail outlets all grouped according to the category, the Dubai Aquarium, and a ski rink and more. The world’s only 7-Star hotel, the Burj Al Arab (Tower of the Arabs) is the very definition of the word Spectacular. Designed to resemble a billowing sail, the Burj Al Arab hits a height of 321 metres, which makes it Dubai’s fourth largest hotel. The easiest way to get a look beyond the Burj’s gates is by enjoying high tea at the SkyView Bar. 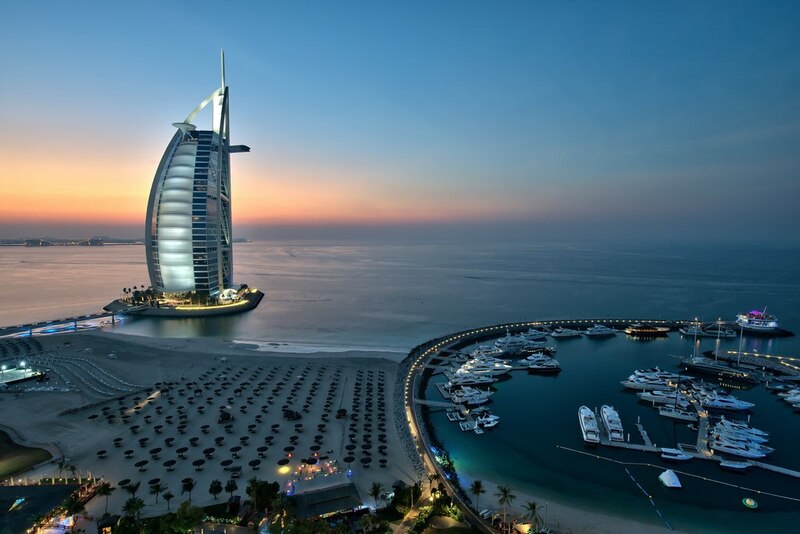 There are other points from which you can get great pictures of the Burj Al Arab, such as the Jumeirah Beach. 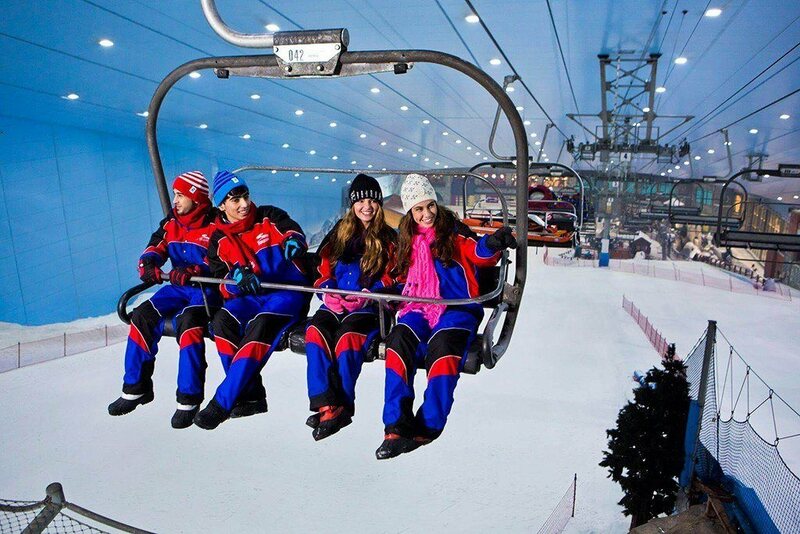 Ski Dubai is Middle East’s very first indoor ski resort. Whether you’re an expert skier, or a toboggan expert, or you just want to experience the ambience, Ski Dubai is the perfect place. There are several ski slopes of varying toughness, plus the world’s first indoor diamond run. Ski Dubai is maintained at -2 degrees Celsius without fail in a city that boils with heat, peaking at 55 degree Celsius in summer. It’s the most user-friendly indoor ski resort where warm clothing and equipment are provided for you and quad-chairlifts take you to the top of slopes for your run. 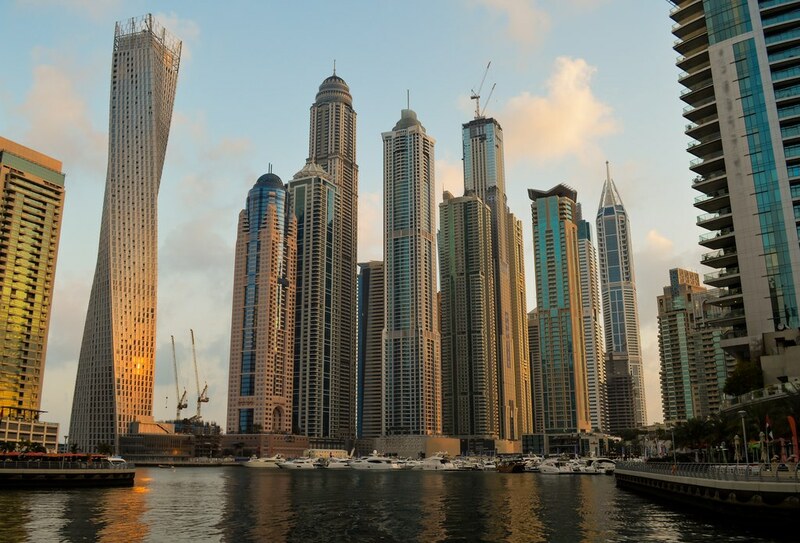 The Dubai Marina is the place to be seen at in Dubai. Enjoy looking at the incredible buildings and amazing views, and the walkways and line-up of expensive yachts. The Dubai Marina Mall and the Dubai Marina Yacht Club (DMYC) are found here. Home to super yachts, here’s where you’ll find the world’s most expensive, billion-dollar yachts. Four distinctive marinas are constructed on a canal that’s 3.5km long which berth over five hundred Richie-rich yachts. The Dubai Marina area is full of fine dining options, plenty of club lounges, shopping centres and plenty of entertainment options. Use our itinerary to build your must-see-attractions-in-Dubai list. We promise you, we’ve only just scratched the top of the topic yet. There’s lots more to do and see in Dubai, but we’ll let you figure those for yourself. Have fun! 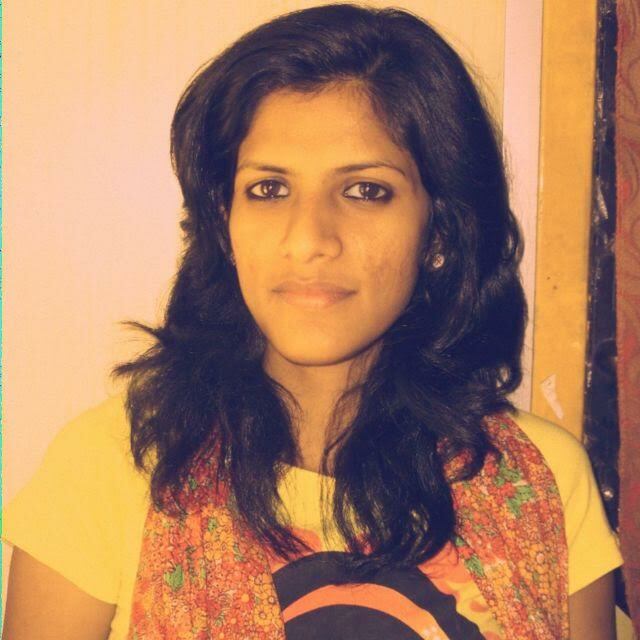 An avid trekker and explorer, who often takes off some time from her busy life for mountaineering, she loves meeting new people & gets attached to their culture very easily.